Hello everyone! 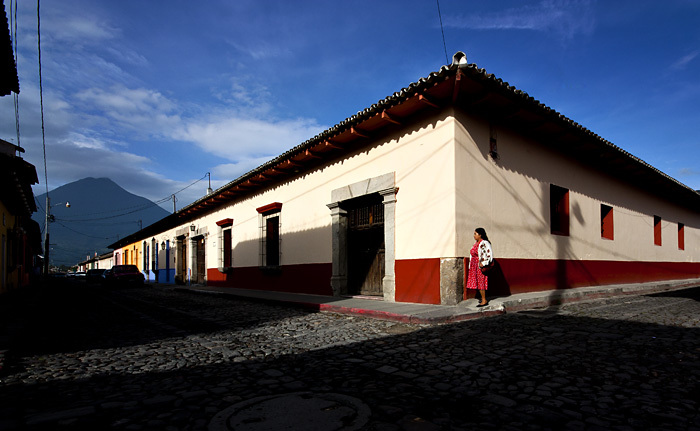 I am in Guatemala, in beautiful Antigua. I’ll tell you the last days. Me and Eva stayed in Granada four days, including one to Lake Apoyo, formed inside a volcano. 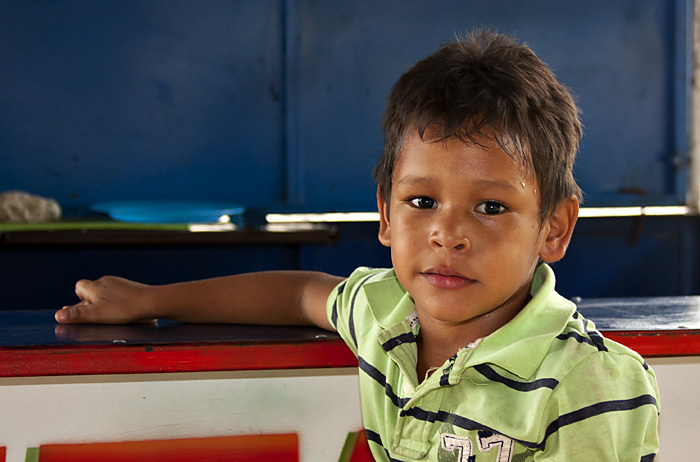 After we went to Leon for a couple of days and finally in a place on the sea, Pochomil, near Managua. A strange place, with a gray and threatening sea. Also, being low season, me and Eva were literally the only two tourists. 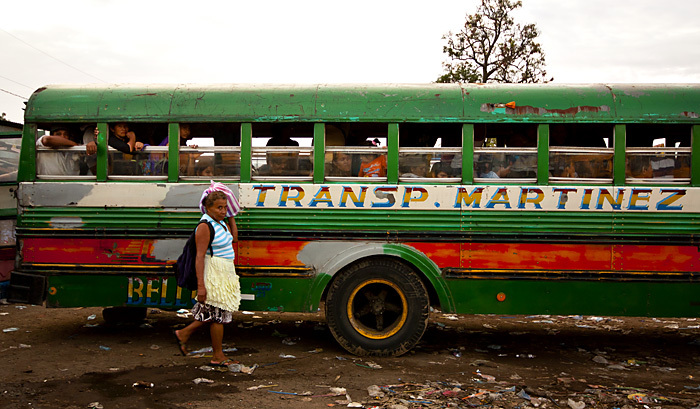 In Managua we stayed only one day, to take the buses, I to El Salvador, she to Costa Rica. 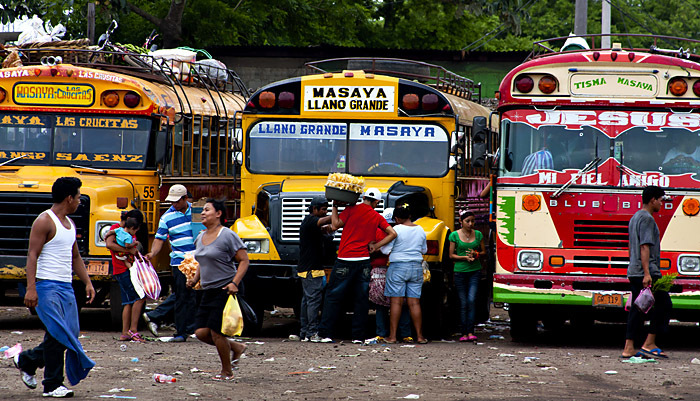 I passed through El Salvador, stopping just a day in the capital, San Salvador, not much to tell. 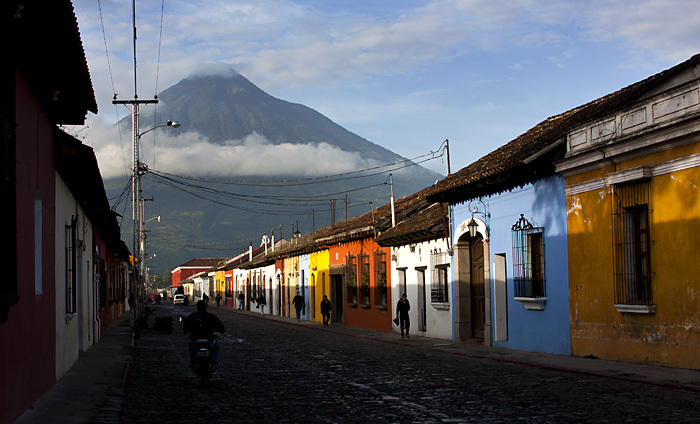 And now here in Antigua, Guatemala. So, after Aparicio, even Eva left, and now I’m alone. But basically there is no problem, Dekaro wanders the world alone, doesn’t need someone next to him. The Cathedral of Granada. 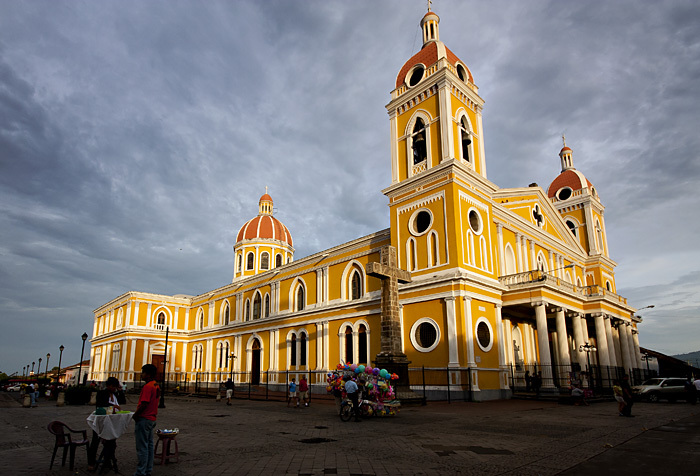 Granada, founded in 1524, is probably the oldest European city in America. Since then, however, has been destroyed many times. 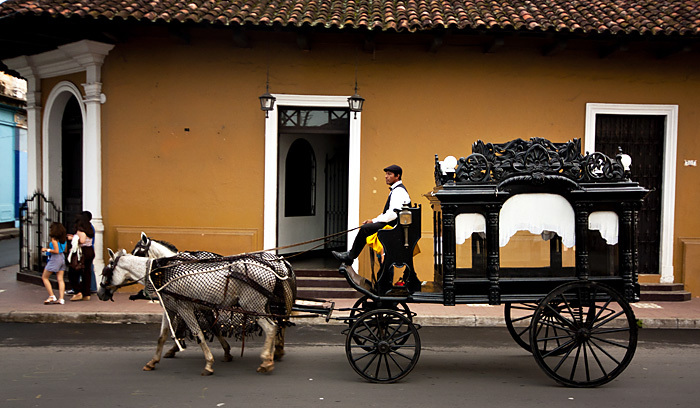 A funeral carts through the streets of Granada. Sooner or later… also us. 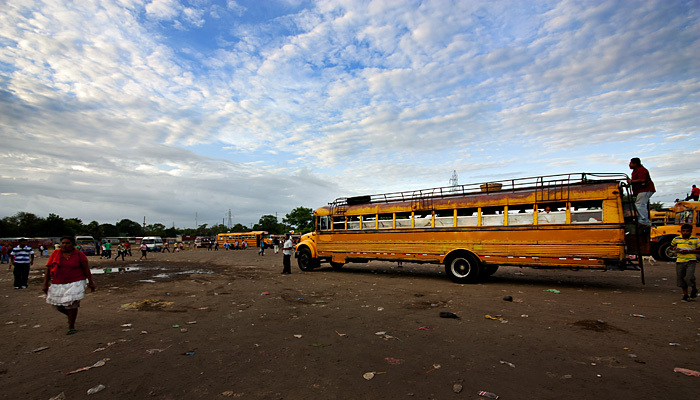 Yellow bus under the blue sky. A street of Leon, eternal rival of Granada, the first liberal, the other conservative. 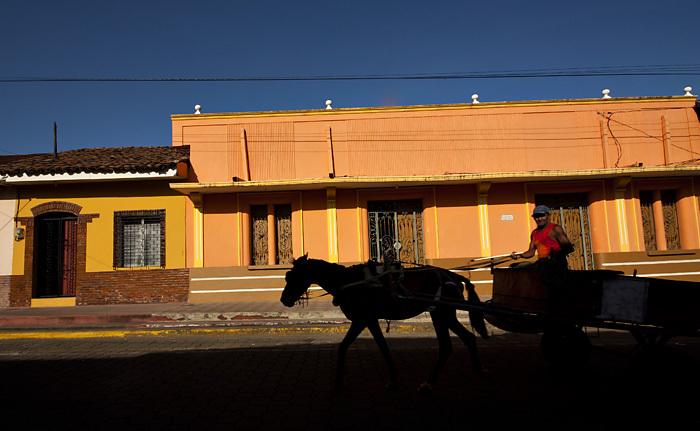 Depending on the political power, the capital passed from one to another until, finally, Managua was chosen to end the dispute. 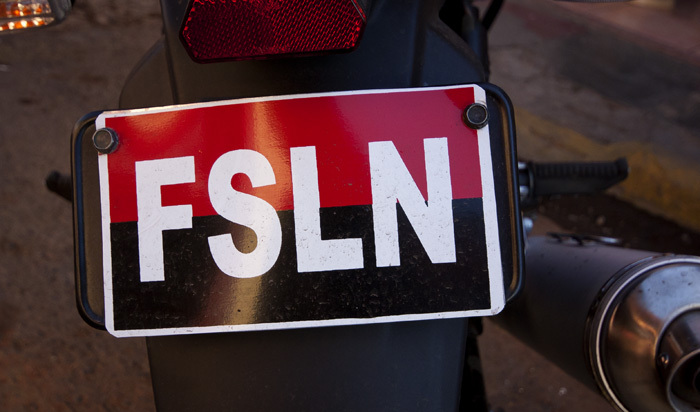 A motorcycle with the license plate of the FSLN (Sandinista National Liberation Front), now a normal party in power. It was the main architect of the revolution in 1979 that finally got rid of the Somoza dynasty, ruthless and corrupt dictators supported, of course, by the United States. The revolution gave birth to one of the greatest social achievements of humanity. The country in ruins reconstituited in a few years. Illiteracy dropped from more than 50% to 13%, land reform redistributed the wealth and gave work most of the unemployed. 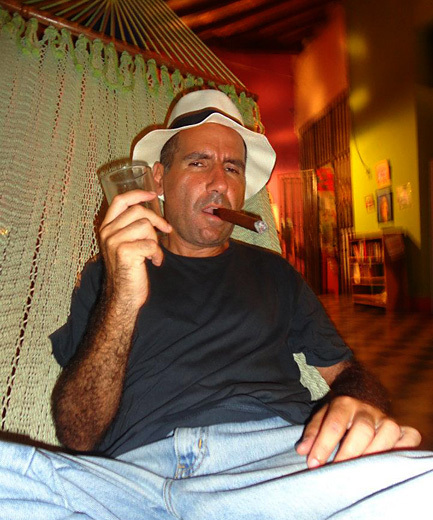 Health care was free for all etc… etc…but this was obviously unacceptable to the United States who created, trained and financed the Contras, terrorists groups whose sole purpose was to sabotage the Sandinista revolution. 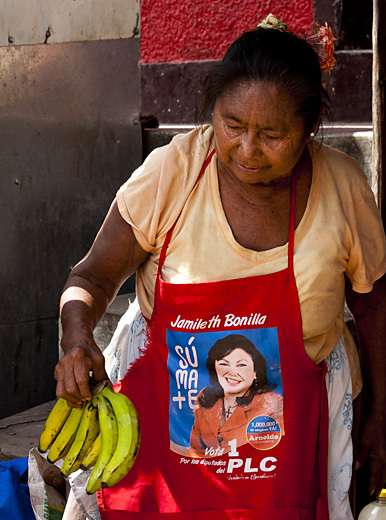 The atrocities of the Contras are unspeakable. The tortures before killing defenseless people were the norm. The country plunged into civil war which caused over 50,000 civilian casualties in a country of only 5 million inhabitants. Compared to which the victims of the attacks of September 11 are as a drop in the ocean. 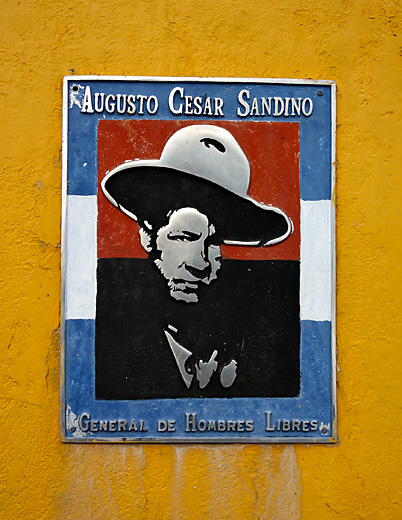 But of course, being Nicaraguans dead and not U.S. no one has written that it was the “most heinous crime that the humanity witnessed”, “the return of the era of barbarism,” or something similar. No, indeed in the history books the support to the contras is passed as something necessary to save democracy and freedom from the red menace. In addition of course to avoid the Sandinista army marching to the U.S. (I’m not raving, it was said!). 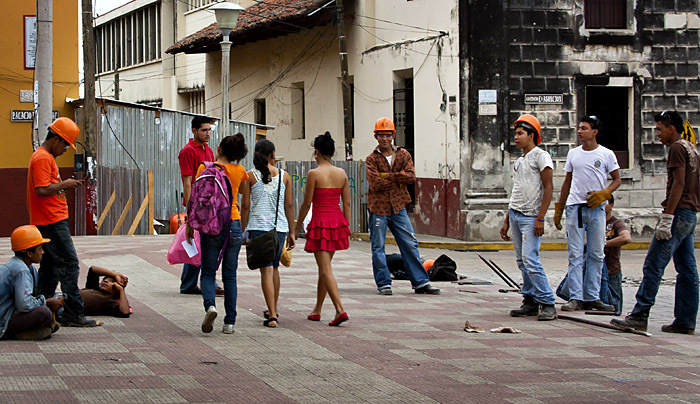 Girls passing among the workers. 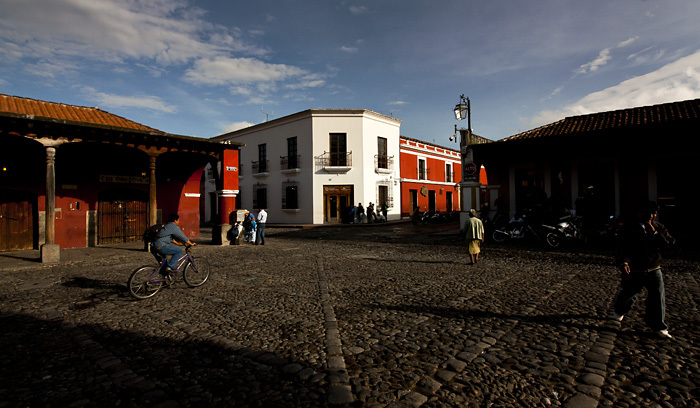 Antigua in Guatemala. In the background, as always, a volcano. 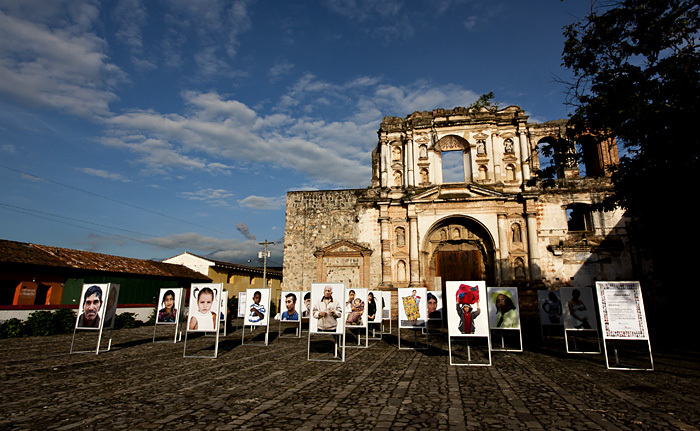 Photo exhibition in front of the facade of a church. 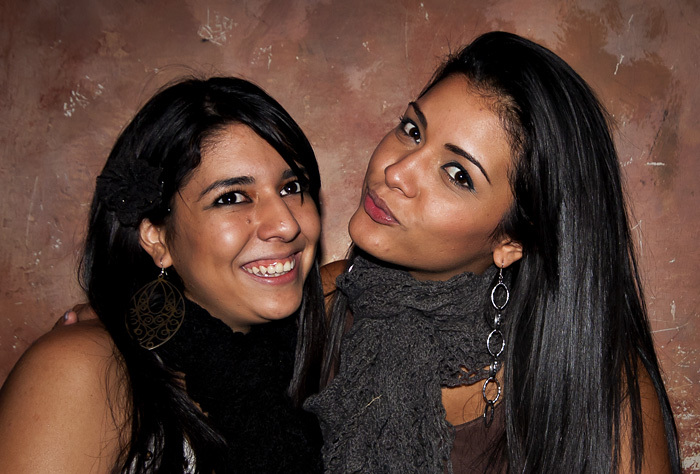 The first night in Antigua I met two nice girls: Rita and Sara. Cultural differences of attitude in front of the camera. 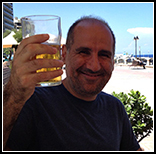 This entry was posted in guatemala, nicaragua and tagged antigua, granada, guatemala, lake apuyo, leon, nicaragua by Dekaro. Bookmark the permalink.